One of Oldest Churches in N.C. 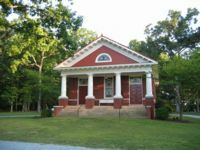 Historic Red House Presbyterian Church will be found in the far northeast corner of Caswell County near the small community of Semora. Once called Middle Hico, it is among the oldest churches in North Carolina. The current beautiful red brick building is the fourth structure to occupy the site and the second to be colored red. Dedicated in 1918, it follows other buildings that date back to around 1756. The first building, one of three successive wooden frame structures, was burned in 1781 by British soldiers during the Revolutionary War. 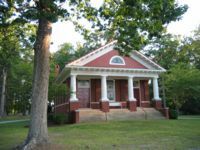 The second church building burned in 1806, but the third built in 1809 stood for over one-hundred years, until it was replaced by today's magnificent structure. 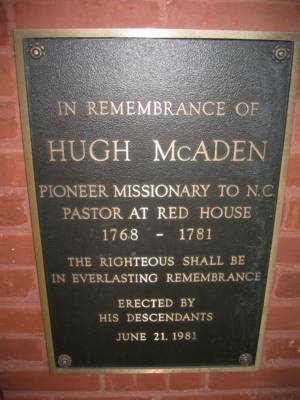 The legendery Presbyterian minister Hugh McAden arrived at Redhouse in August 1755 and became the church's first regular pastor. 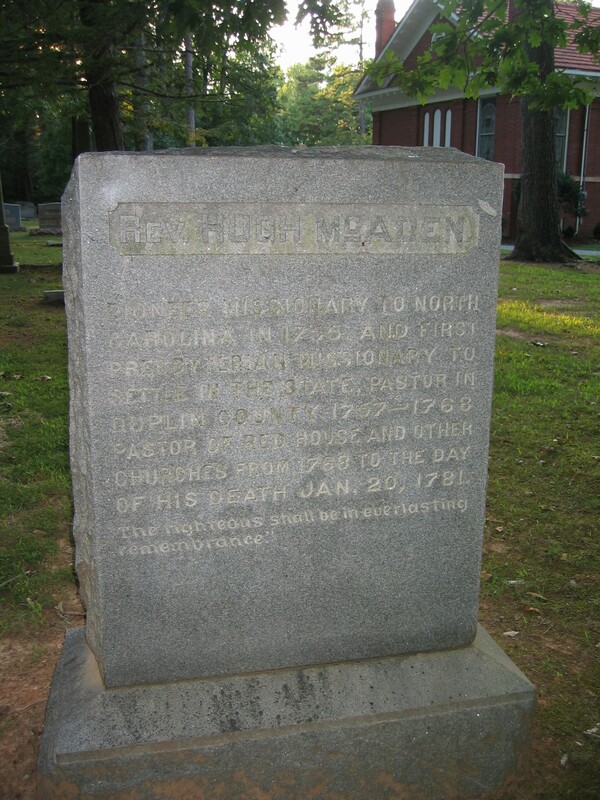 The same British soldiers who burned the original church building desecrated the grave of Rev. McAden, who died 20 January 1781. The gravesite of Rev. Hugh McAden is in the church's intimate cemetery, where a monument was erected in 1913 by the McAden family. On August 13, 1913, this monument was formally unveiled, with the event commemorated by D. I. Craig's sermon covering the life and work of Hugh McAden. That sermon was published in pamphlet form in 1918 when the present church building was dedicated. The life and legacy of Rev. 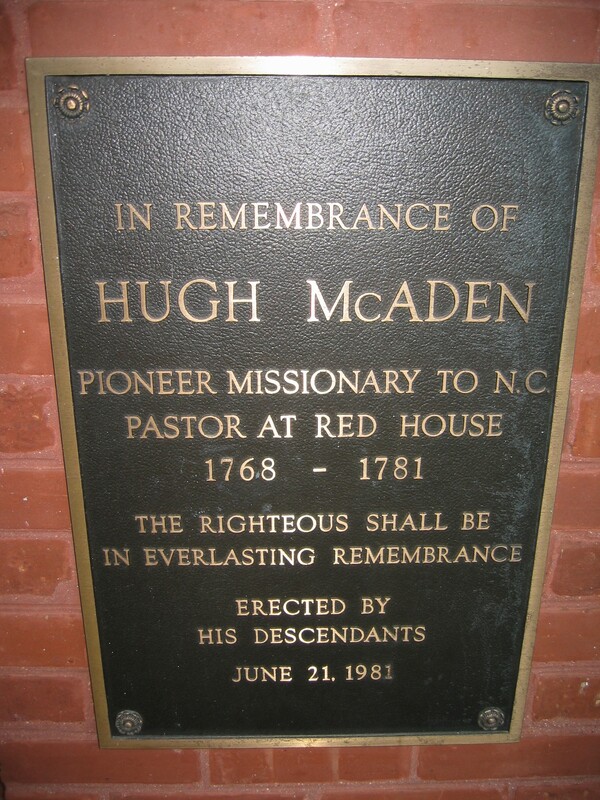 Hugh McAden will be covered in greater depth elsewhere on this website, but it must be noted here that Red House Presyterian Church was his church, and his presence is felt to this day. Tradition has it that the name Red House came from the community of the same name. 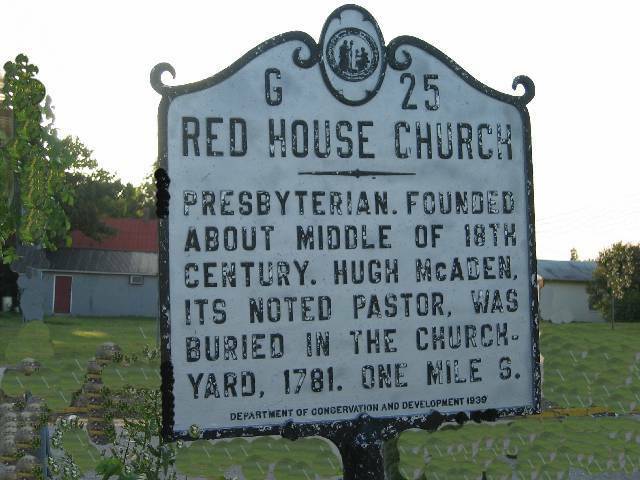 The origin of the "Red House" designation for both the community and the church apparently derived from a nearby inn or tavern on the Hillsborough stagecoach road that had been painted red. In 1956, the members of the Red House Presbyterian Church observed its two-hundreth year of existence. 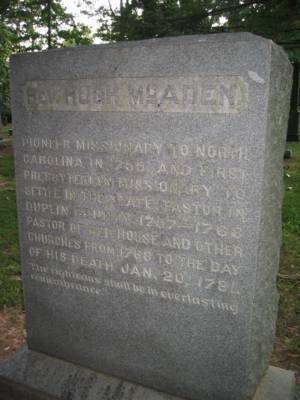 A few years later, in 1981, the descendants of Rev. 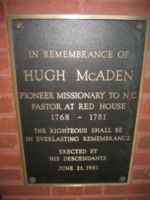 Hugh McAden presented to the church a bronze plaque commemorating the two-hundredth year of McAden's death. Red House has long been a power for good with far reaching influence. Many men and women of strong character have been trained within its circle. 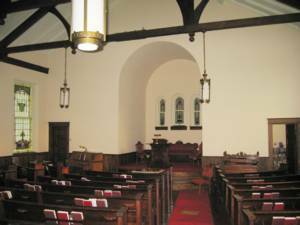 The church stands today as a memorial to staunch Presbyterian workers who have labored faithfully in the service.